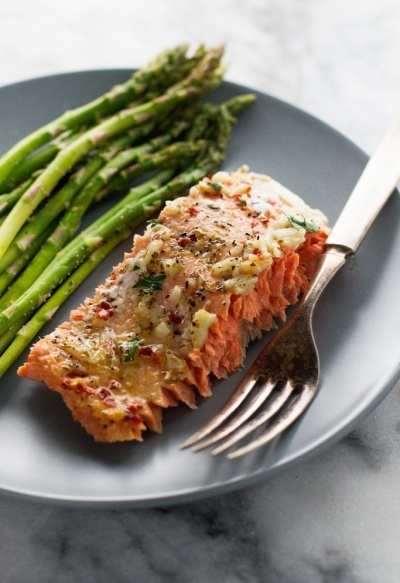 Baked salmon in foil that’s been brushed with my lemon garlic butter sauce. This recipe is so easy to make and pulls together in less than 30 minutes! The salmon is so flakey and tender when baked inside foil. You’re going to love this recipe!